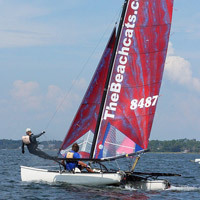 Register Log In Catsailor.com Forums Forums General Sailing Forum Please get your club events added to the CALENDAR! If you are connected to any catamaran related events, regattas, races, parties or shenanigans make sure and get your event posted as soon as possible. It's OK if you don't have every detail, post once you have at least the name of the event, firm dates, and location of the start. The calendar for Catsailor.com and TheBeachcats.com is the same, so add your events using the create event form here. Last edited by Damon Linkous; 01/21/19 07:03 PM.